Google Contacts Integration is available in extension. Available fields: Name, Description, Email Addresses, Phone Numbers, and Account Name. First, an administrator has to configure Google Integration. For this, go to Administration > Integrations > Google. Integration requires Client ID and Client Secret. This integration requires curl, libxml and xml PHP extensions. If any is not added, you will be notified about it after saving. Check on the Dashboard if Contacts API is enabled. On the sidebar on the left, select Credentials. If you haven’t done it already, create your project’s OAuth client ID credentials by clicking Create new Client ID (Web Application), and providing the information needed to create the credentials. Get Redirect URL from EspoCRM Integration Page. If your Consent Screen is not configured, please set a Project Name in Configuration. Look for the Client ID and Client secret in the table associated with each of your credentials. 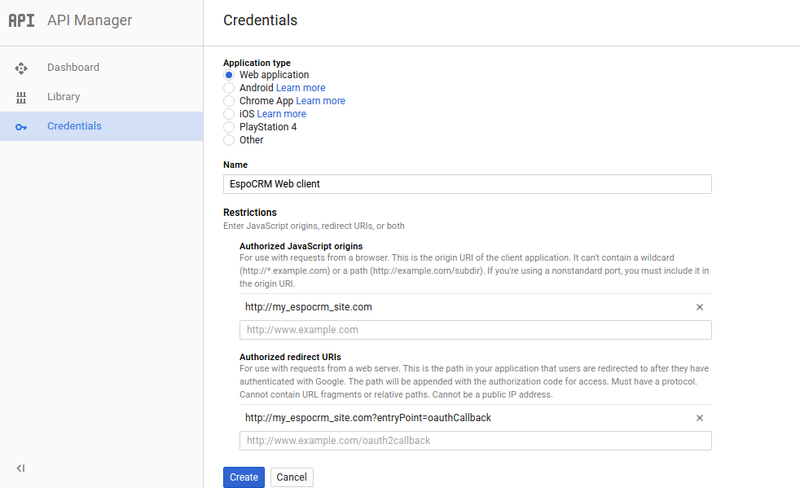 Copy it to EspoCRM Google Integration page and save it. 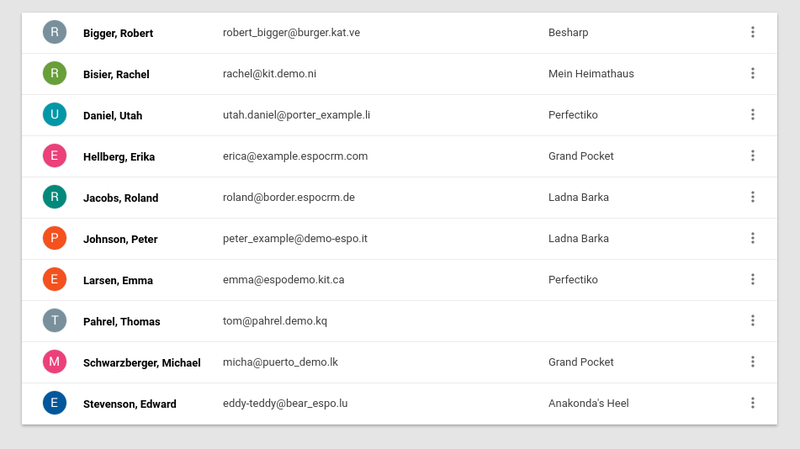 Manage Roles in EspoCRM to set access to Google Contacts. Go to Your user page > External Accounts button in the top-right corner > Google. Check the box Enabled, choose Google account, allow EspoCRM to work with your data. If you synchronize Google Calendar Events, disable synchronization, save and enable again. It is necessary for expansion of permission. Check the box Contacts. You can select Google Contacts Groups, where EspoCRM entities will be pushed. Go to the list view of your Contacts or Leads, select needed items and push them to Google. The portion of data can contain up to 100 records. After that you can find your contacts in Google.